Dinner parties can occur for the reason of announcing a special information. It can also be the platform where people get together to have an update about what is going on with each other’s individual lives. Moreover, it can be a way to celebrate an achievement. One of the main things that is much awaited during a dinner party is the the menu selection of the food items available for attendees to consume. A well-curated dinner party menu can very well complement an already satisfying and delicious meal options. 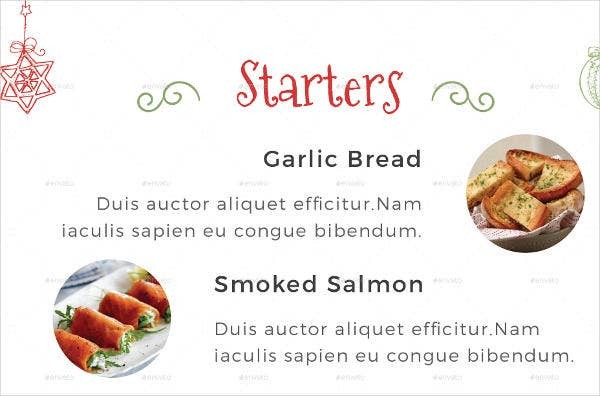 We can give you samples of dinner party menu templates if you will be needing one in the dinner party that you will host. 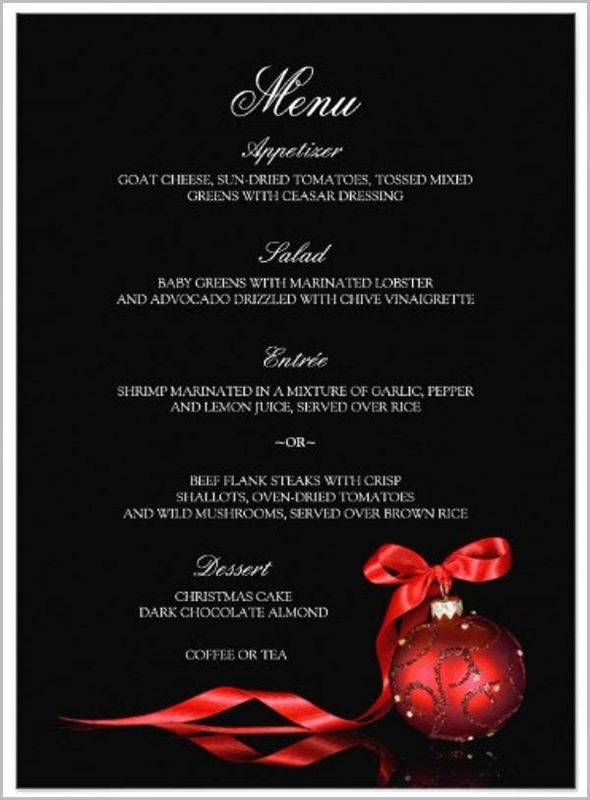 Moreover, we can also provide you with other Dinner Menu Templates usable for other events done during night time. 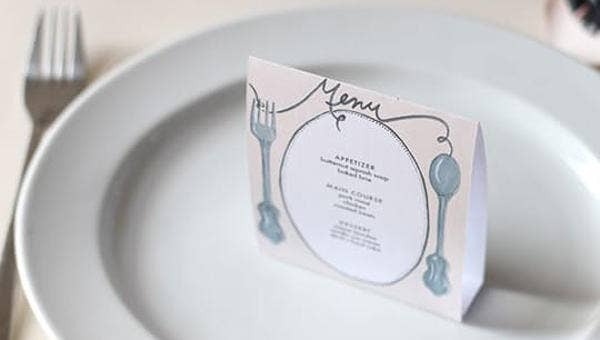 It can be a strict dinner party menu where there are no options that are needed to be made as specific food items are already placed in the menu card. It can also be a plated menu where samplers are available per dish service. The menu selection for a plated service that is mainly used is that of provides at least two or three options that a guest may select from per dish. 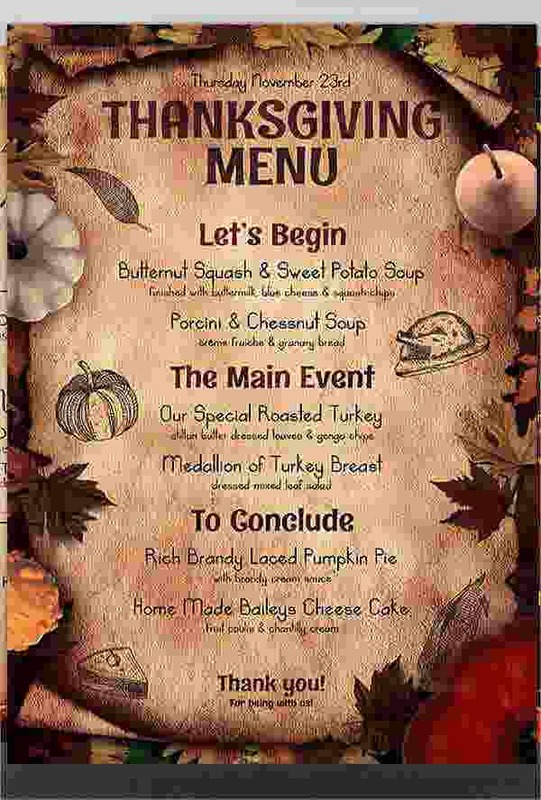 Aside from our dinner party menu templates, our samples of Thanksgiving Menu Templates are also available for download. You can incorporate the special occasion, which is the reason why the dinner party took place. You can use themes that are related to Christmas, thanksgiving, or any other holidays that is associated with the celebration. 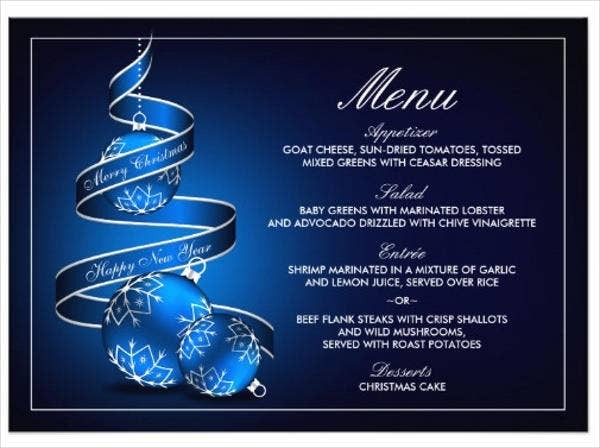 Formal dinner party menu may be used if the dinner party will be attended by businessmen and those that would like to have an exchange of corporate ideas and do other business transactions. 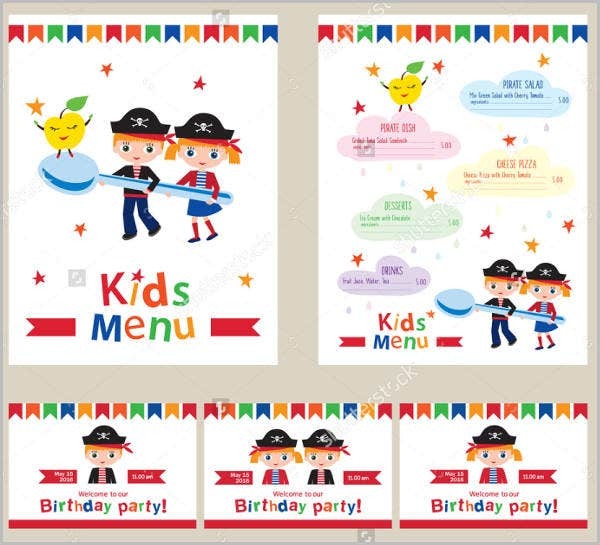 A kid’s birthday dinner party menu should be more relaxed in terms of its appearance compared to the formal designs that are implemented in a dinner party where mostly adults are invited. 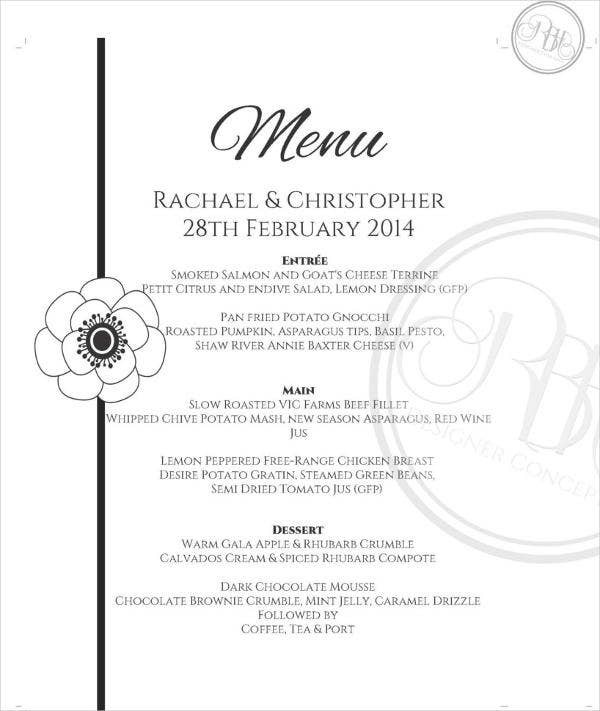 The design of the dinner party menu may also be themed. It all depends on the overall look of the dinner setup. You can take inspirations both from the menu that will be served and the materials that will be present in the table design. 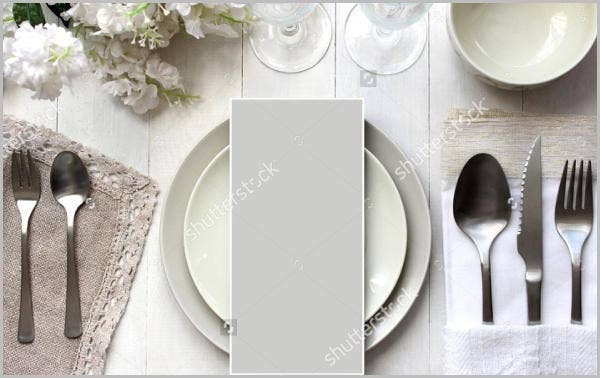 If you want to make the dinner party menu more personal, you can add a few images or texts related to the reason for the gathering. If it is because of a couple anniversary and other celebration of relationship milestones, then a photo of the couple or even just their names may be used. 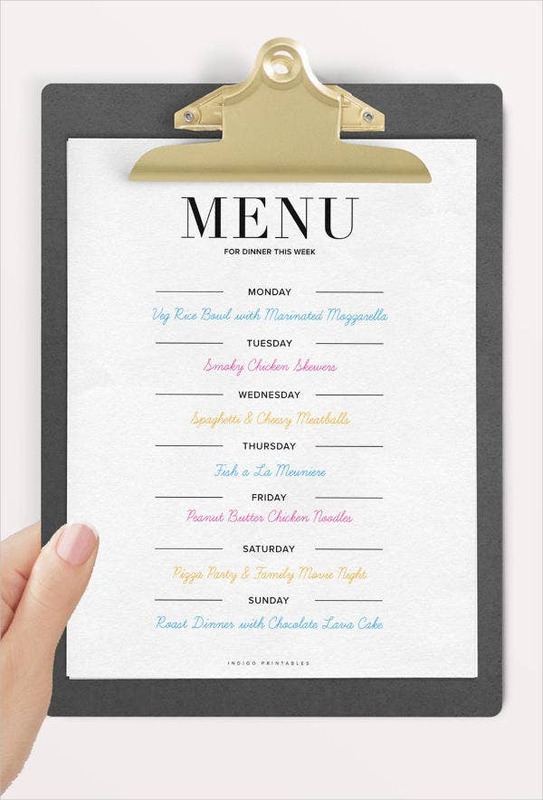 Other than our dinner party menu samples and templates, you may want to download our samples of different Elegant Menu Templates.